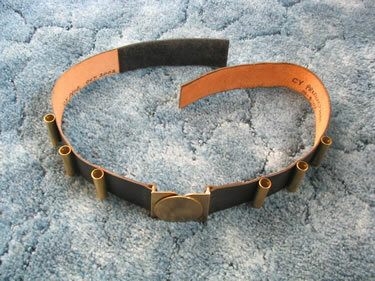 The Style 1 Robin utility belt is made of black leather and has 6 brass tubes which are attached with screws. 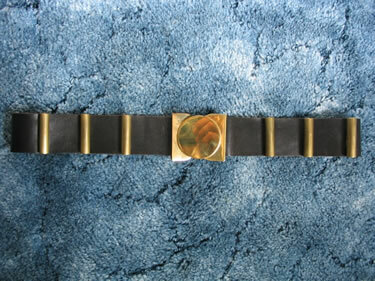 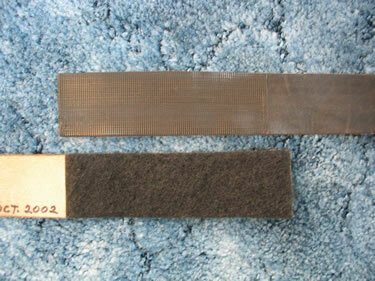 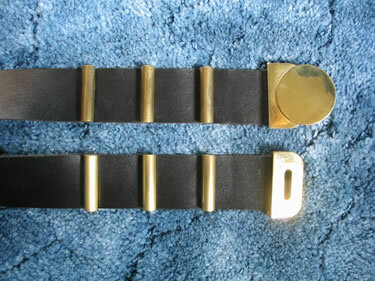 Thw two piece buckle is made of solid brass exactly like the original one Burt wore on the show. 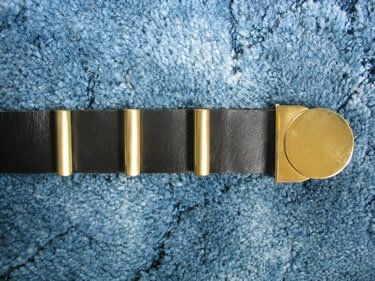 The belts buckle and un-buckle in the front and also adjustable in the back for a perfect fit everytime. 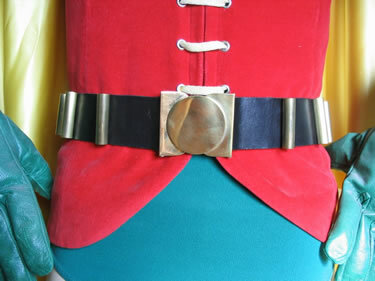 However please include your waist size when ordering for a perfect fit.